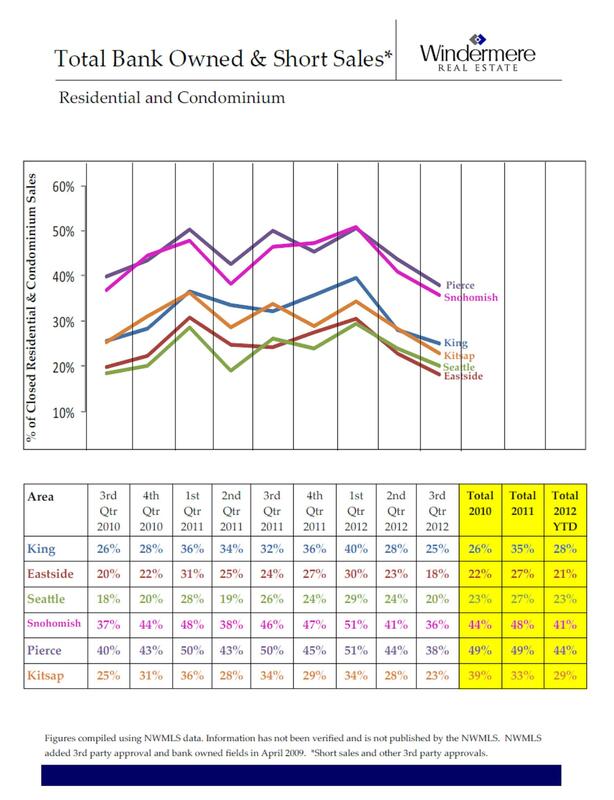 How Was The Seattle Eastside Real Estate Market in January, 2012? 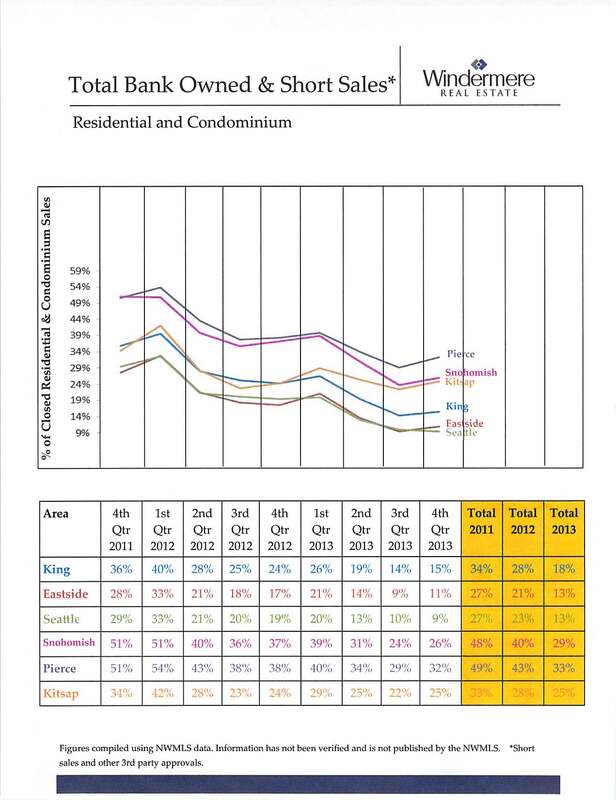 Real estate on Seattle’s eastside had a great start to 2012. 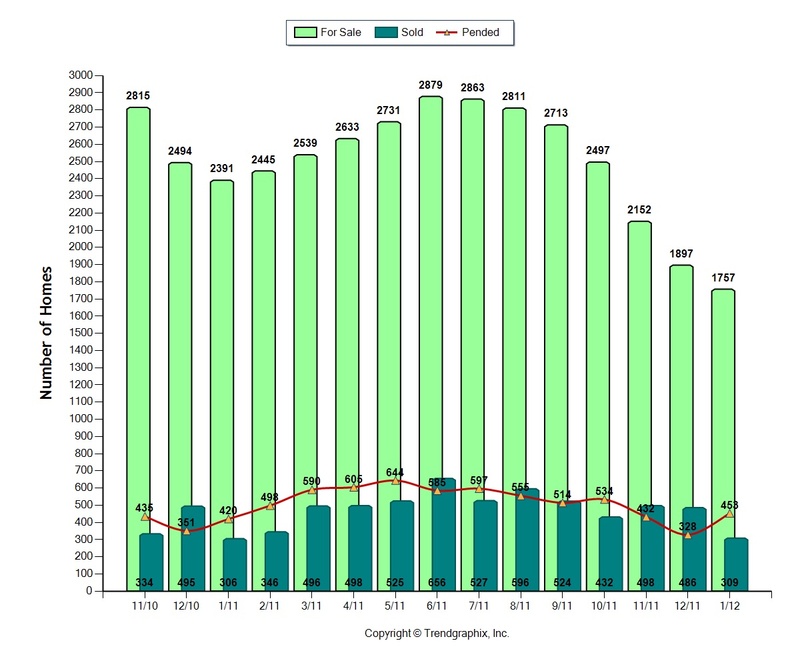 Pending sales were up by 38% and there were 26.5% fewer homes on the market this year than in January, 2011! This is a recipe for a positive real estate market here in the cities of Bellevue, Kirkland, Redmond, Issaquah, Sammamish and Woodinville. 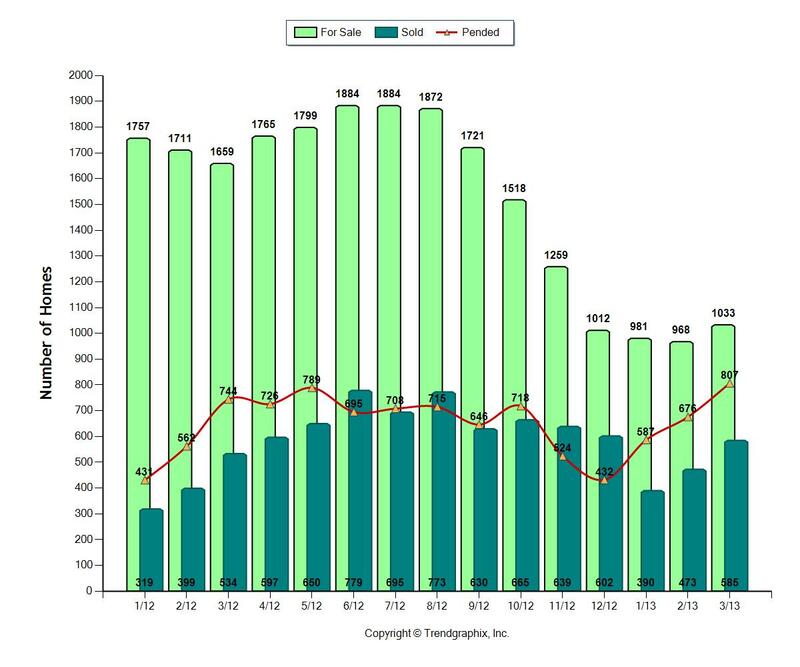 In January, 2011 there were over 2300 homes for sale, in July 2011 there were 2879 homes for sale, and this past January there were just 1757 available homes! There were 1000 fewer homes for sale in January, 2012 than in July of 2011. That’s a huge difference. In the first 7 weeks of 2012, the number hasn’t change much, remaining fairly stable. Usually by the this time of the year, we’ve seen a jump in the number of homes for sale. We expect this year to be a fast paced market for the homes that are priced well and show well. We can already see the increase in activity with one of our listings. We recently listed a home and 20 different groups came to the open house. This means there are lots of buyers out there actively looking for a home. I also think most people feel like the worst is behind us and it is safe to go out again and buy a home. NPR had a piece with positive economic news on several fronts. Housing starts are up and unemployment is down. 26% fewer homes were on the market in January this year than in 2011. The average time a home took to sell was 105 days. Sales prices on average were just 9% below the seller’s original asking price. 26.5% percent of the homes for sale this January received offers and sold. As in December, the actual number of homes sold did not change much. Last year 420 homes sold. This year 453 sold. The difference? There was much more competition last year because there were 634 more homes on the market! The lack of supply definitely contributes to a faster market. Sellers in the Seattle Area and On the Eastside Start Your Engines! On Seattle’s Eastside, the market is looking really strong, particularly around the Microsoft area of East Bellevue and Redmond. The number of homes for sale has dropped dramatically. 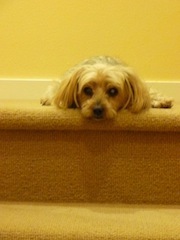 What should buyers and sellers expect in the first quarter of 2012 on Seattle’s eastside? A more positive real estate market. The market will continue to be affected by short sales and foreclosures. Home prices are not up nor will they go up. There is no indication on the immediate horizon that indicates anything about price increases. On the flip side, the lack of supply of homes for sale helps to stabilize the market and prices. Fewer homes means more competition, which helps pricing. The real estate market will vary neighborhood by neighborhood. One size does not fit all. Location matters. Homes close to economic centers that offer a good commute, good schools, and good amenities will be more in demand. Condition matters. Homes should go on the market in the best possible condition to command the best price. Some home sales will be good deals depending on the available competition, the condition of the home, and the seller’s motivation. Some homes will sell for full price, in a matter of days, and with multiple offers This, too, will depend on the same factors mentioned in my previous statement. It is important to know your area. Buyers and sellers should both be aware of the competition, pricing, and condition of nearby homes to determine the value of a specific home. Homes need to be priced right or they will not sell. I heard a seller say the other day, “I’m not going to give away the farm.” If you, as a home seller, have far more money into your home than it’s worth and you have no interest or are financially unable to price your home to meet the market, then this is not be the time to sell your home. Gee, it sounds like a normal real estate market to me! What do you see happening in your market place? Brooks and I just sold a home in Redmond which had multiple offers. A contract was in hand, when the very next day I received phone calls from both an agent and a prospective buyer who wanted to see the home. They were a day late. It was gone. It was sold. Here on the eastside, the market is doing well for the good homes, but not for all homes. These are the homes that are the best of the competition in terms of price, condition, style, floor plan and location. Less than 9000 properties are for sale in King County, for the first time in years. Supply is dwindling fast. If you compare the number of homes for sale with this time last year, 3000 fewer homes are on the market. As the year heads to a close, more sellers will take their homes off the market. I expect to see December and January be good markets for sellers because of the decrease in competition. Quality homes will go fast, and possibly with multiple offers. Does this mean it’s a bad market for buyers? No, there are still a lot of good homes for sale. Plus, it’s the most affordable market we’ve had in the Seattle area 17 years. With the lower interest rates, a mortgage is starting to rival rental costs. So if you snooze, you can lose. Do you homework. Determine what’s most important to you. Is it the location, is it the good floor plan or a combination of many factors? Know the prices of homes in the area. Learn what’s selling and for what price. Know your wants and needs, study the market by visiting homes, and learn what sells well in the area. If you do all these things. You won’t snooze and lose. You’ll know which homes work best for you and which are the best values. You can then jump in and buy a good home and not lose.